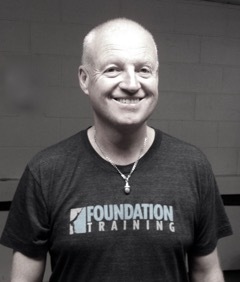 After just a few sessions with Martin and learning some Foundation Training exercises from him my back and neck pain has improved and my shoulder has a greater range of movement. I am much more conscious of my posture, particularly when sitting at computer. After my first one hour class I was free from back pain for the first time in years. I had a 90 minute running technique session with Martin in January. With a marathon on the horizon in April and limited training time his immediate feedback and follow up assessment helped me to understand how run more efficiently and the adjustments I needed to make. Although the making significant changes to running style is never going to be an overnight project, improvements were noticeable almost immediately and his expertise played a huge part in helping me reach my sub 3 hour goal with minimal training. I would recommend his coaching sessions to anyone that is keen to go faster - the best thing a runner could spend money on. I would recommend his coaching sessions to anyone that is keen to go faster - the best thing a runner could spend money on. what i liked about the session was the ....."Personalised approach and flexibility to focus on my aims and goals. I've completely changed my running style"
Your advice was stellar (as ever), I was certainly landing on my heel, once I concentrated on landing on the front of my foot my shin pain went. I was a track runner and Martin coached me for many years developing my skills until I eventually ran at national level. Now I am older I run for pleasure, but still refer to him for advice and guidance. He is passionate about running and related training methods and is a voracious reader on the subject. His incredibly wide knowledge means he has a range of tools to address personal running technique needs. This combined with his motivational personality means he can inspire your running. Whatever your ability Martin can help you improve you PB. I had read a bit about different styles of running and came across Martin on the Internet. I booked a coaching session with him and found that my running style changed in just an hour's worth of work with him. He's a really good coach, very clear and very switched on to what you need to be doing to run more efficiently. Julianne (Physiotherapist and marathon runner) Cheltenham. England.